oktober 2013 | 366 blz. mei 2013 | 338 blz. 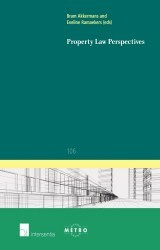 This study provides an overview of the existing acquis communautaire in property law, and presents a proposal for the future development of this field of law. It deals with the influence of the EU’s four freedoms on national property law and discusses whether or not the EU would have the competence to actively create property law, and the extent to which it has already done so. juli 2012 | 154 blz. 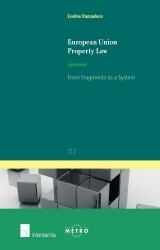 This book discusses new developments in property law that challenge traditional property law theory. 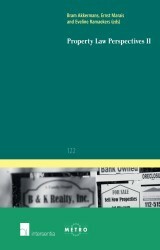 Although it deals with various aspects of property law, such as virtual property, prescription, and EU property law, all topics share a vision on how to give shape to the property law of the 21st century.